I always laugh when someone asks me what time I set my alarm clock for to get up in the mornings, ‘with two early risers I don’t need to set an alarm clock‘ I usually reply. 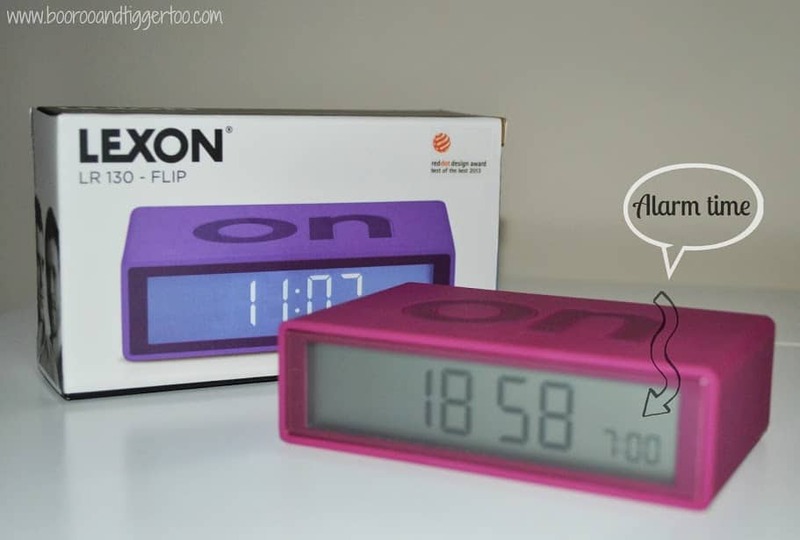 So when I was offered the opportunity to review the LEXON FLIP Alarm Clock from Gifts with Style I wasn’t sure if I’d ever get the chance to hear it go off in a morning. Available in ten different colours I opted for the purple, which is more of a pinky plum colour. 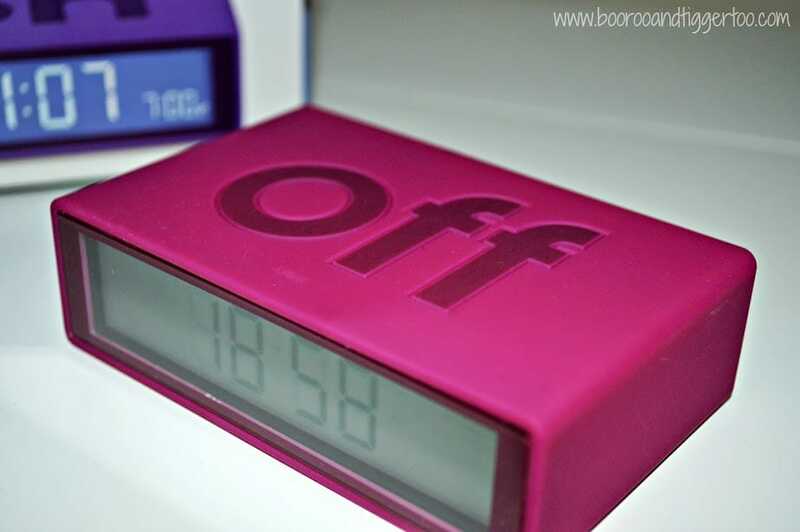 Once it arrived and I’d set it up I had an idea on how I could put this simple to use flip alarm clock to use. I decided to pop it in Roo’s bedroom to encourage her to stay in bed longer in the mornings. Instead of getting up with the birds and staying in bed to read a book or play quietly until 7am. With a built in light that is activated with a simple touch to the top and can be used when the alarm is either off or on, really helps Roo keep an eye on the time and whether or not it’s nearly time for her to be getting up. 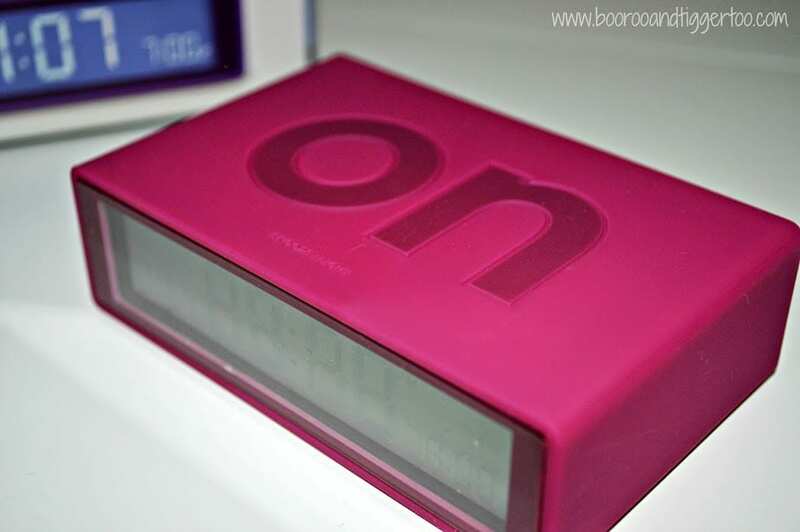 The simplicity of the alarm clock is really amazing, with a simply ‘flip’ the alarm is either on or off. The ease of changing the alarm time is so simple too that Roo can adjust it herself. Priced at £29.00 it may be a little bit more than an average alarm clock but this is no average alarm clock. 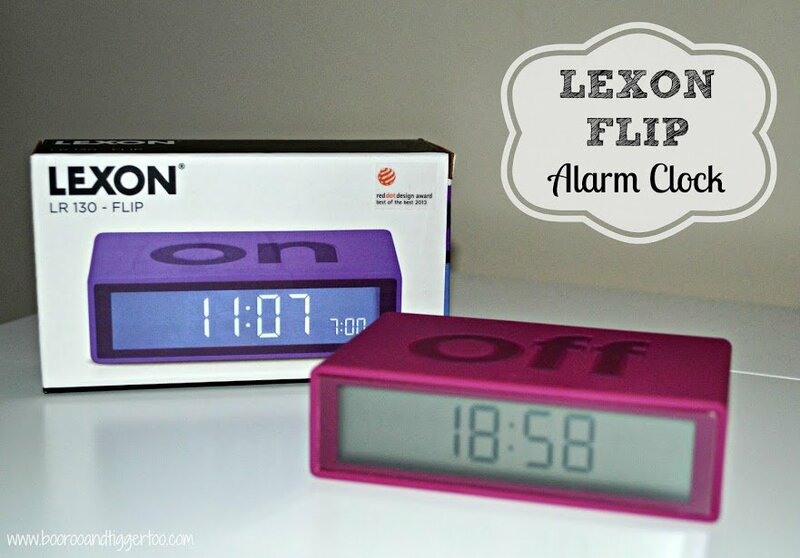 Disclosure Policy: We received a LEXON FLIP Alarm Clock FOC for the purpose of review.